Show your support for our wounded veterans by adding a $20 donation to Helicopters for Heroes to your ticket. Come out to the Helicopters for Heroes Kickoff Party with Tim Montana, proceeds from the show will benefit Helicopters for Heroes a 501(C)(3) organization dedicated to helping our military veterans. 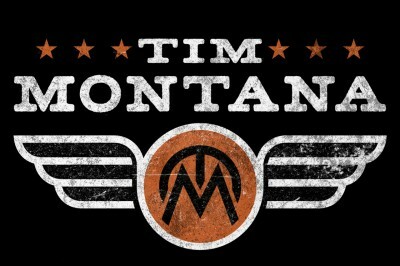 t’s easy to see why Montana’s music connects with so many people far and wide. Dubbed as one of Rolling Stone’s “Artists You Need to Know,” his musical influencers range from Merle Haggard to Guns N’ Roses. Montana’s passion for music has not gone unnoticed by his fellow musicians. “Tim is the real deal. He’s a little bit country with lots of hard rocks — or maybe he’s a rocker in touch with some serious country roots,” says ZZ Top’s Billy Gibbons. Tim grew up in Butte, MT in a household that did not support his musical career. He quickly learned if he wanted to make a reality of out his passion to sing and play guitar, he had to escape Big Sky Country. He packed his bags and made his way to the heart of country music, Nashville, TN. Soon after living in Nashville, a rodeo performance caught the attention of David Letterman. David was so impressed by Tim’s music, he personally invited Tim to perform on The Late Show with David Letterman. In September 2017, Tim released his single, “Hillbilly Rich.” Rolling Stone called the song an, “an ode to fantasies about telling off your boss, making it rain, and having everything all at once.” Shortly after the song was released, Tim performed the single live on Fox & Friends. To ensure tickets are delivered safely and securely and to keep the price as low as possible for you, the ticket buyer, Periscope Music Group generally uses our E-ticket system unless otherwise stated. When you purchase tickets through Periscope Music Group, the full face value of the ticket is shown. This price is the price set by the event promoter and we pay this full amount to the promoter without any deductions.